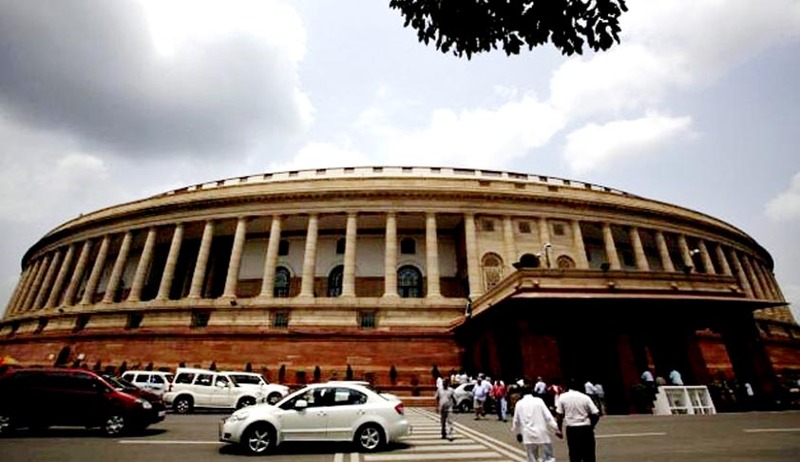 Following the productive first week of the current Monsoon session of Parliament during when five of the 16 Bills proposed by the Government were passed, four more Bills have been proposed by the Government for consideration and passing. These include the Benami Transactions (Prevention) Amendment Bill, 2015 and the Citizenship (Amendment) Bill, 2016 in Lok Sabha and the Prevention of Corruption (Amendment) Bill, 2013 and the Whistle Blowers Protection (Amendment) Bill, 2015 in Rajya Sabha. Other Bills on the agenda of Rajya Sabha during the second week beginning Monday i. e July 25,2016 include ; the Compensatory Afforestation Fund Bill, 2015, the Indian Medical Council Bill,2016, the Dentists (Amendment) Bill,2016 and the National Institutes of Technology, Science Education and Research Bill,2016, all passed by Lok Sabha already. Other Bills proposed to be taken up in Lok Sabha include; the Institution of Technology (Amendment) Bill,2016, the HighCourts (Alteration of Names) Bill,2016 and the Child Labour (Prohibition and Regulation) Amendment Bill,2012. The first two of these Bills would go to Rajya Sabha after passed by the Lower House while the Child Labour Bill has been passed by the Upper House last week. During the second week of this Session beginning Monday, Lok Sabha is likely to take up a Calling Attention Motion moved by Shri BhartrihariMahtab (BJD) on the ‘Undertaking of a barrage project over river Mahanadi by Chattisgarh Government there by severely impacting flow of water into Hirakud dam in Odisha’. The Government also proposed for consideration in both the Houses a Resolution seeking to approve the recommendation of the Railway Convention Committee to revise the rate of dividend payable by the Railways to general revenues and other related ancillary matters as contained in the Committee’s report of December,2015. “There is a widespread demand for early introduction of GST from almost all the political parties, State Governments, trade and industrial bodies and even general public. The Government is engaged in talks with political parties to ensure passage of the GST Bill during the current Monsoon session. The Business Advisory Committee has already allocated five hours for discussing this Bills in Rajya Sabha which is an important development. The Government on its part would the best possible to make this long pending legislation see the light of the day during this session. I appeal to all parties to sense the mood of the nation and cooperate in this regard”. During the first week of this Monsoon session, Lok Sabha has cleared four Bills during the five sittings viz., the Indian Medical Council Bill,2016, the Dentists (Amendment) Bill,2016 and the National Institutes of Technology, Science Education and Research Bill (Amendment) Bill, 2016. These were among the six Bills introduced in the House last week. Besides, the lower house also considered and accepted an amendment to the Indian Trustees (Amendment) Bill, 2015 as passed by the Upper House in earlier session. During the last week Rajya Sabha passed two Bills viz., the Regional Centre for Biotechnology Bill, 2016, earlier passed by the Lok Sabha and the Child Labour (Prohibition and Regulation) Bill,2012. While both the Houses discussed the Kashmir events during last week, Rajya Sabha in addition took up the incidents of attacks on dalits and a Calling Attention Motion on floods in the country with specific reference to floods in Odisha.